Peter is quite concerned about authority, whether it’s in reaction to his own or it’s the culture in which he lives. In any case, his beloved Jesus submitted to human authority too. Do we? Show proper respect to everyone: Love the brotherhood [family] of believers, fear [reverence] God, honor the king [emperor]. What is the meaning of authority in our lives? What is authority? In some cultures, it’s inherited, in others, it’s traditional, and still others, it’s won through battle. I’d say respect for authority in Western culture is at an all time low. Certainly, there is little “positional” authority – that is, respect for the position (police, politician, principal, teacher, doctor, judge, or president) and not particularly the person. If anything, people are looking for opportunities to bring down respect. There may be a grudging respect initially, but a wrong statement or misstep of judgment, and the person is dragged through the press or gossip mill. 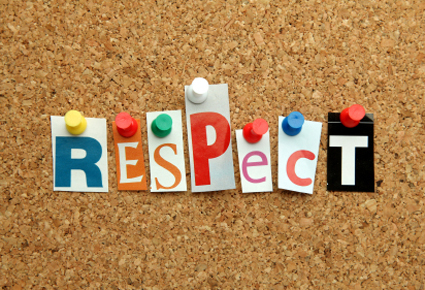 Some people say “respect should be earned.” I understand this point of view, but I’m wondering if we, and that is cultural we, haven’t taken this doctrine too far. Can we expect others to constantly prove themselves worthy, only to make a mistake and lose all that has gone before. On the other hand, those who are in positions of authority today seem to have lost something vital to commanding respect. Our society has become so jaded that the tenets of honesty, authenticity, trust, character, and commitment have stretched beyond our grasp. It must be old-fashioned to want to believe in the vows of marriage, the truth of law, the honesty of leaders, and the greater good. It’s Pollyanna-ish. Faith has a measure of authority as well and although some can embrace that easily others will not and never will without divine intervention. If God is sovereign, then God has ultimate authority over everything. Face it, that’s not always easy to swallow in a world that challenges the existence of such things: entropy is all around us as well as violence, greed, self-aggrandizement, and disloyalty. How does one show respect in this day and age? What does it look like? Who deserves it?